“This is the story of my body. 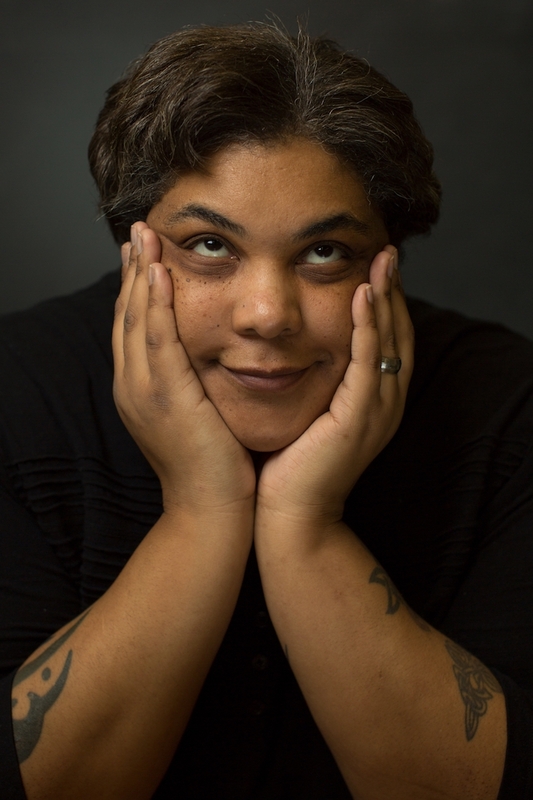 The story of my body is not a story of triumph,” Roxane Gay writes in the second chapter of her new memoir, Hunger. It’s the feminist writer’s fourth book and second released just this year, but it’s also her most vulnerable, recounting the story of how she put on weight to cope with the trauma of being gang raped at age 12. Gay discusses her personal struggle with gaining and trying to lose weight through personal narrative and the cultural criticism she became known for in her 2014 breakout Bad Feminist. Gay will read from her book at Athens’s 40 Watt Club on Wednesday, June 21, and at Agnes Scott’s Gaines Chapel on Thursday, June 22. We spoke to her about being vulnerable, being a public figure, and who this book is for. Tell me about the writing process for this book. Which section was most difficult? It took me a long time to start. I procrastinated quite a lot. When the book was supposed to come out, I knew there was no way to get it done in time, so I asked for an extension. It was difficult just getting started and wrapping my head around the topic, just facing the level of vulnerability that it demanded. You are now seen as a voice of feminism, but this book is incredibly vulnerable. How do you balance that? I don’t think the two things are contradictory. I respect that people see me as someone to go to on certain topics and someone who is an authority, but that’s not me—it’s how other people see me. Writing that vulnerability is something I did not enjoy, but the book needed it. Many people ask you for your opinion on everything from politics to pop culture. How do you handle being seen as an authority? I take it in stride. I ask myself, “When is it time to say something on an issue?” or “When is it a good time for me to read about it or listen to others?” I use that rubric to weigh in. [For example,] often times with international affairs I try to learn and listen because I’m not an expert in those areas. I stay informed and care deeply, but I listen. Why write about your body now? I was thinking about what my next nonfiction book should be. I had been avoiding a book on fatness, so that’s how I knew it was probably the book I needed to write most. What would say the goal of Hunger is? To write about a different kind of body experience than what we normally see written about. To encourage people to think more carefully about bodies other than their own. Was Hunger always the title? It was always the natural title. “Hunger” means so many different things. It’s physical, emotional. It’s about desire and needs. I generally don’t think about audience, but I think many women are going to relate to it, women who have felt uncomfortable in their bodies or felt like they didn’t conform to cultural rules about how bodies should be. Probably most women, unfortunately, will get something very valuable from the book. A YA novel, an adult novel, two nonfiction projects, an essay collection, and some screenwriting stuff. I tend to work across projects, but there is usually one project at a given time that has most of my focus. I’m pretty good at compartmentalizing, but given my [teaching and travel] schedule, it’s difficult to find time for writing.